91% of all cyber attacks start with a phishing email. MailGuard protects our customers by identifying & blocking fast-breaking threats 2-48 hours ahead of the market. Is your email security future-proof? Are you ready for the GDPR? 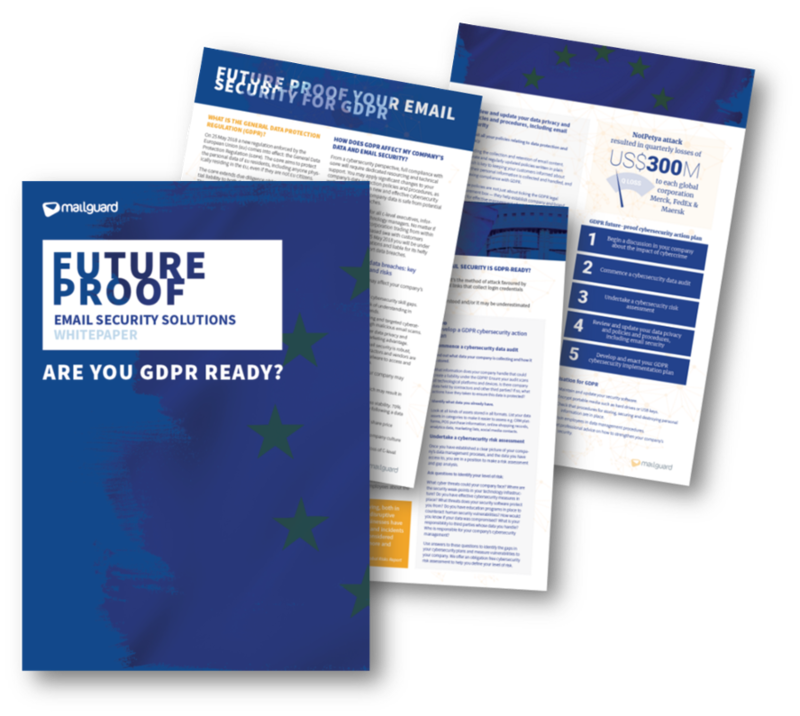 Download our Email Security whitepaper to learn GDPR risks, opportunities & threats. You can experience our email filtering absolutely free for two weeks. Being a pure-cloud solution, you can be provisioned in minutes. No installations, updates or patches. Ever.